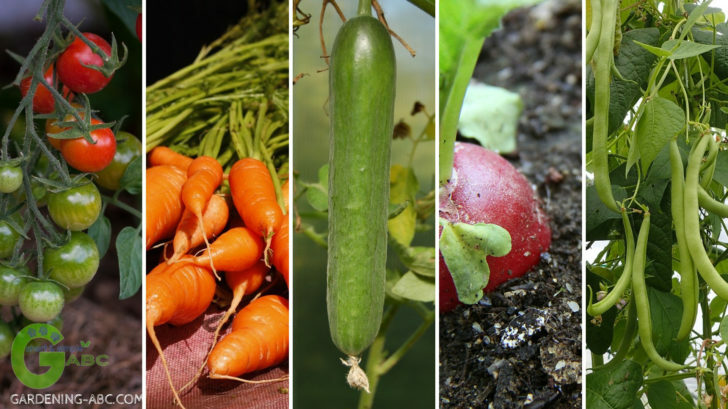 As a beginner, most of us are worried about the success of our gardening endeavor. Will we get our desired results? Or will our effort will turn out to be a fruitless labor? 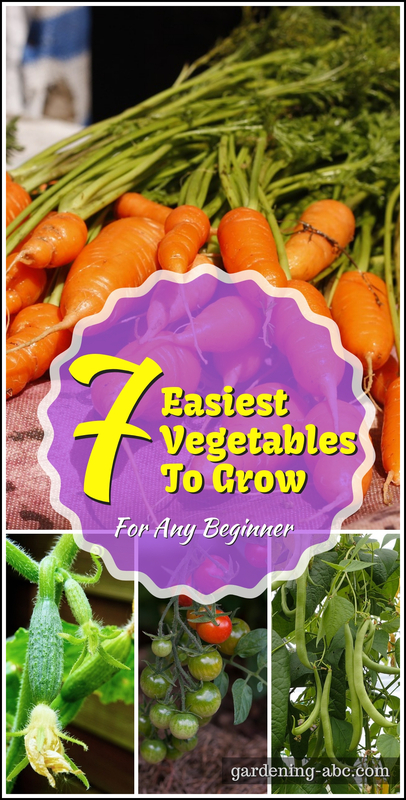 What are the easiest vegetables to grow? Where should I start? As I always emphasis on the point to start small and gradually increase the level of difficulty as you gain experience with gardening. In this article, I have mentioned 7 plants that are easy to start. Though these are not totally full-proof, you can definitely try your luck with these plants than to attempt the plants which need a much more sophisticated approach, particularly at the beginning. When we talk about starting your own kitchen garden, maybe 80% of us first think about fresh, homegrown tomatoes into our garden. Growing tomatoes are not difficult either. 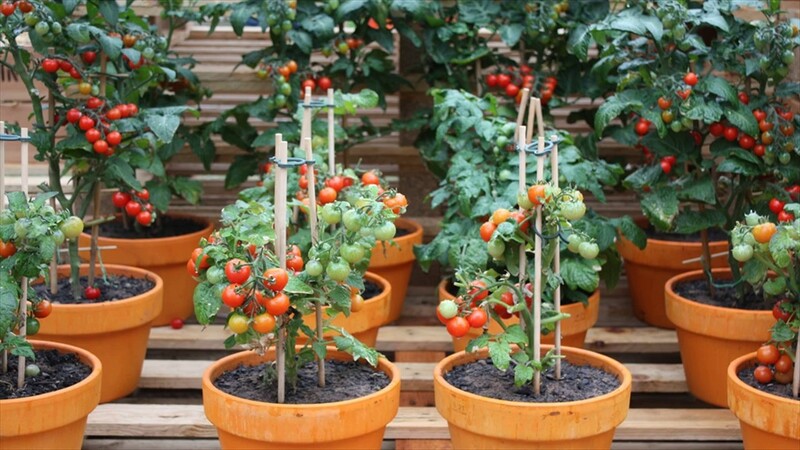 With fertile soil, Little bit of water from time to time (see watering guide) and a lot of sunlight, your tomato plant will grow and give you fruits all year long (depending on the variety). Just look out for blight signs and little caterpillars which can hamper the growth of your tomato plant. Tomatoes are packed with plenty of iron, magnesium, potassium, vitamin A, B6, and C and last but not the least Lycopene (antioxidant) which prevents cancer. You can check tomato growing tips for more in detail. The tender sweetness of pea just plucked from your kitchen garden, is so much better when you compare it with the pea from the store. Peas are high in fiber, iron and various vitamins. Most of the varieties can be grown very easily from the seeds. You can grow peas in the containers that are at about 10’’ deep. Just try not to harvest peas in the hot environment (ideal range 40-85 degrees Fahrenheit). 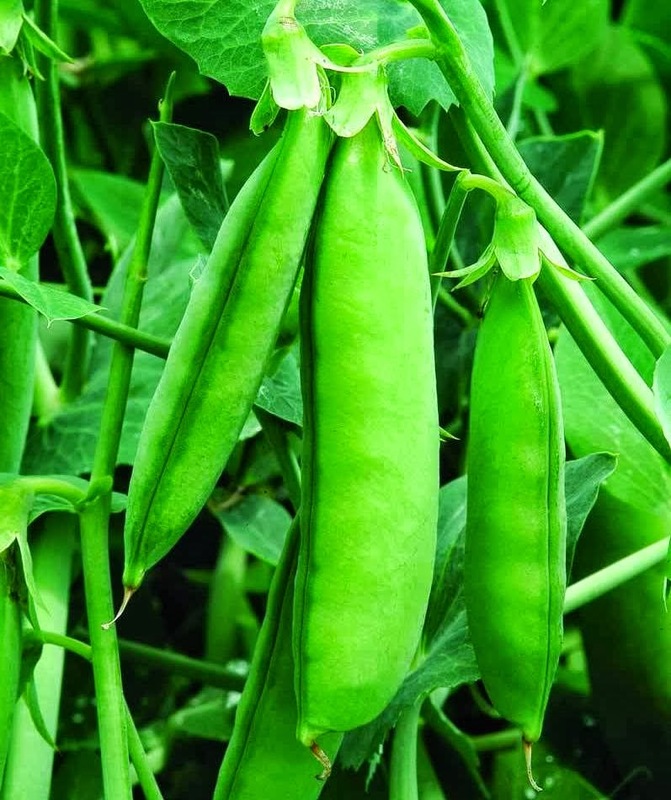 See the detail article how to grow peas for more details. Radish is another vegetable which is ideal for the starters. You can sow the seeds outdoors, indoors or in the containers. In case you have fertile soil extra feeding is rarely necessary. They can mature within 25-50 days (depending on the variety). They can add a peppery addition to our favorite salads. Want to know more about growing radish? 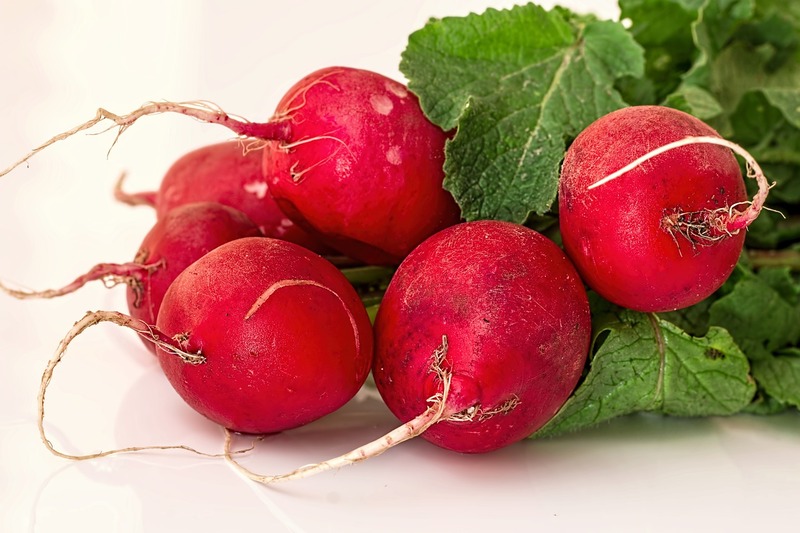 Check out how to grow radish for more details. They are the sweetest, crunchiest and in the best condition when taken out from your own garden. Carrots are easy to grow. They need only water, sunlight and careful weeding. Carrots are the tastiest when harvested small. If you leave them in the ground for too long it can result in overly large and woody carrots. Keep the soil moist. Dry soil can result in bitter and more fibrous carrots. Make sure that the soil is free from rocks and deep enough to handle root growth. Presence of rocks can result in crooked carrots which though are taste wise perfect but aesthetically look very bad. Want to know more about growing carrots. 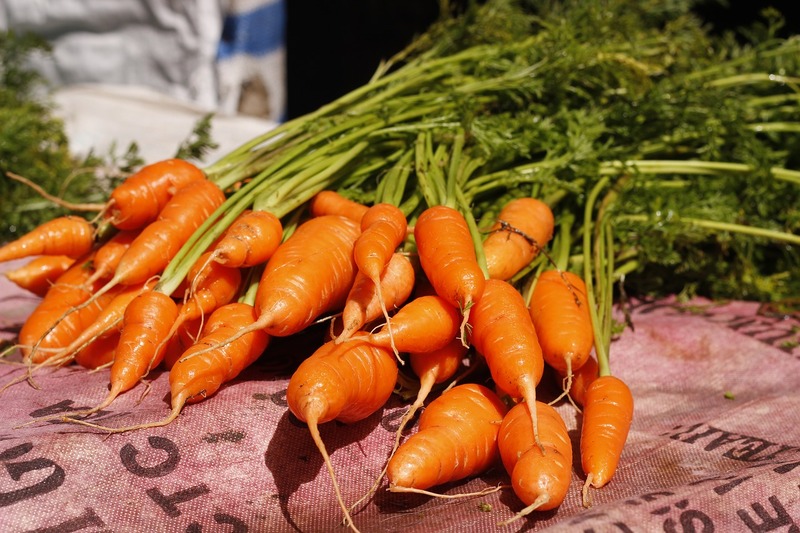 Don’t forget to read how to grow carrots. Leafy green plants such as spinach can be grown very easily from seeds. Cool and moist weather is best for spinach. Sow the seeds in fertile soil 4-5 weeks before the winter, and see them grow very rapidly. It takes one and a half month for spinach to mature. Once the leaves are of the reasonable size you can pick them to encourage new growth. 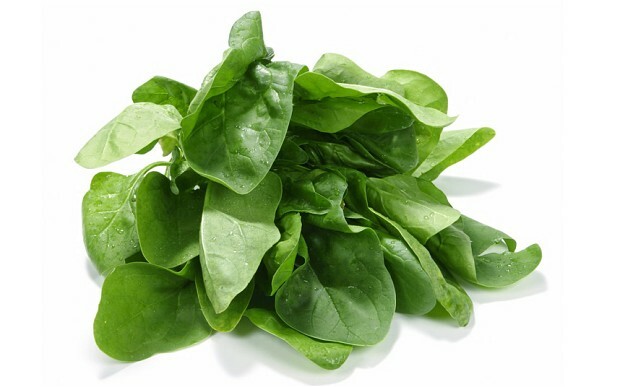 Spinach is high in iron and can be a wonderful addition to salads and soups. I have a detail article on how to grow spinach you can read that for more information on growing spinach. Cucumber can be sown in containers, garden, hills almost anywhere. Warm weather, regular sunlight and watering are enough to yield high-quality cucumber. Provide the plants with ample space to stretch their roots as the plant’s sprawl. Avoid planting cucumber at the time of frost. It is a must for our salads. You can read more about how to grow cucumber for details. 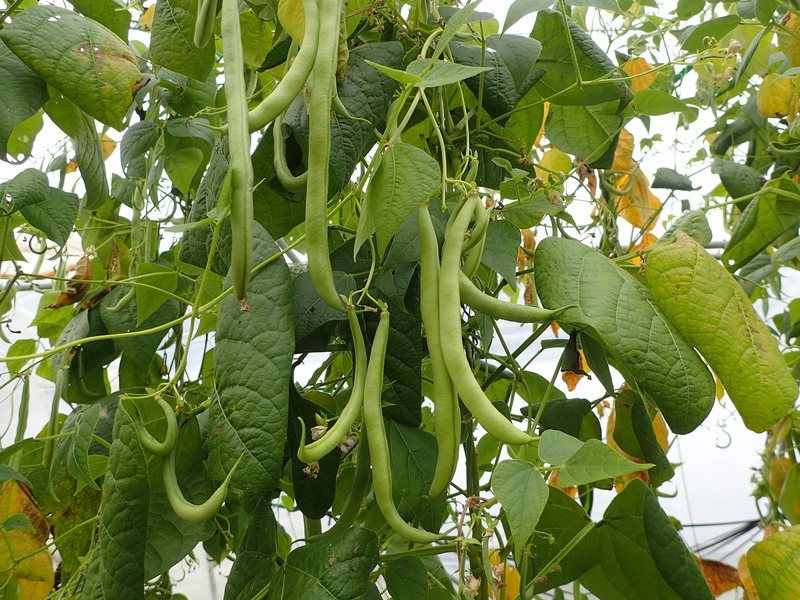 Almost any type of beans is easy to grow from seed. Plant directly into the soil or the container when the soil is warm. It requires plenty of water, ample sunlight and some cage to provide support for the vines to grow. Beans are the powerhouse in terms of nutritional value. They are high in iron, fiber, protein, manganese and phosphorous. I hope you got some idea about what to plant as a beginner. There might be plenty of other such plants which you have experience as easy to grow and maintain. I will be really happy if you can share some more. It was really a good blog post. Many thanks to the author. Good post. I grow pretty much all these. But I disagree with carrot as an easy crop to grow. I have grown them in the soil, in pots and even in grow bags. But I find the time and effort to grow them, is not equal to the yield, or the quality of the yield. After 3 summers of growing carrots, I have finally decided buying them from the store is much better. And believe me, I grow EVERYTHING!, even potatoes, cabbages and cauliflowers successfully. I agree that radishes are very easy. you can add turnips and beet roots to this category. They have been very kind to me. You can also include peppers. All kinds of peppers (hot peppers, colorful bell peppers, etc) are very easy to grow too. Thanks Ramya for those detail inputs. Really appreciate that. I will surely add those you have mentioned. As per the carrot is concerned I am not sure why you have such a bad experience with them. I have written an article on carrot growing. Please have a look. I hope you will find something new to apply to your carrot growing techniques.